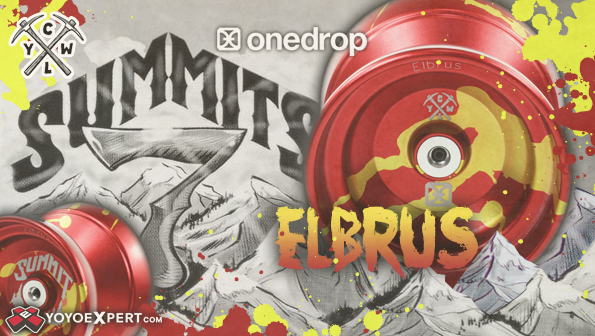 YoYoExpert Blog & Yo-Yo News – The Fourth Summit, The Elbrus! The Fourth Summit, The Elbrus! 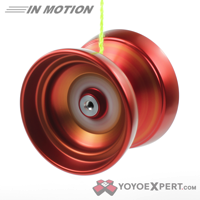 One Drop and CLYW Just Released the 4th yo-yo in their Seven Summits Series! Elbrus! The Original Summit came to fruition after a meeting of the minds and hearts of the CLYW and One Drop Yo-Yo Teams. Now, nearly two years later, the Summit is still in production and just as loved as the first release. To celebrate the success of such an amazing collaboration, CLYW and One Drop knew they had to do something extra special for all of their supporters. Right away they knew what that something special was – Create a 7075 Summit! Then it hit them, immediately after putting pen to paper they saw they had right in front of them. The Seven Summits! If you’re not familiar with the name, the Seven Summits are the tallest mountains on each of the seven continents. Climbing all Seven Summits is an amazing feat and is considered by climbers to be an extremely elite club. The Seven Summit Series had to have that same extraordinary and exclusive feel as the mountaineering feat so One Drop and CLYW decided to do a special color way for each of the Seven Summits limited to 50 pieces each. Each run will be released separately over a period of months and the current release is the European Summit – Elbrus! The denser 7075 aluminum is more durable and gives the yo-yo a beautiful sheen that you just can’t get with standard 6065 aluminum. They kept the dimensions the same as the original Summit and even though 7075 aluminum is heavier, the Seven Summit is lighter than the original! The lighter weight give this yo-yo a really fast and agile play style while the 7075 build gives it plenty of stability and spin time through longer combos. 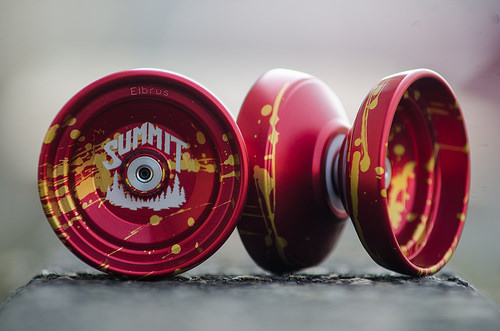 The Seven Summit Series plays like an entirely new yo-yo but maintains the same essence of the original masterpiece! Releasing Sunday, May 10th @ 8PM EST!